These sterling silver earrings are gently hammered. 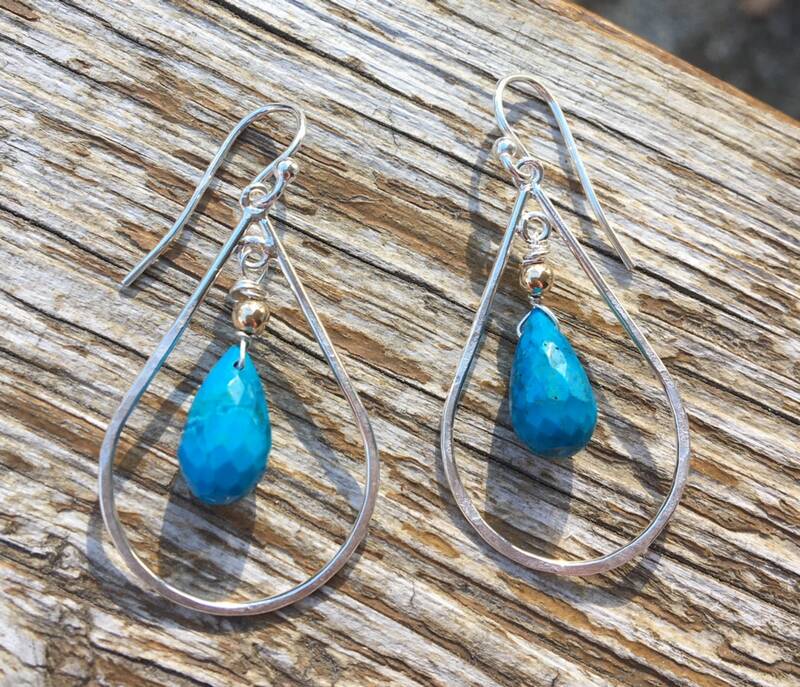 A faceted tear shape turquoise gemstone is hand wired in sterling silver. This piece moves freely inside the silver frame. A shiny gold filled bead accents the top of the turquoise gem. 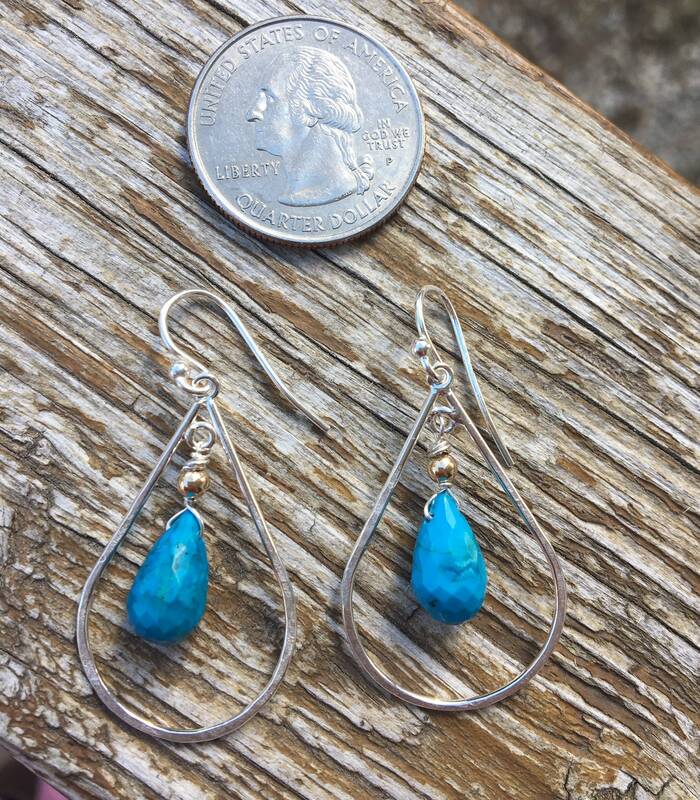 These earrings measure 1 5/8" long & 7/8" wide.